CHARLOTTESVILLE, Va. (WDBJ7) -- A non-profit legal organization is joining the effort to get a man, convicted of murder in Bedford County, out of prison. Jens Soering was charged with killing his girlfriend's parents, Derek and Nancy Haysom, at their Boonsboro home in 1985. He was found guilty in 1990. Now, the "Institue for Actual Innocence" is working to help exonerate Soering through the use of DNA testing and expert analysis. 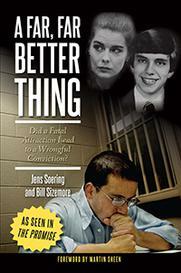 Steven Rosenfield says the Bedford County Sheriff's office made a mistake in convicting Soering - a finding supported by an international police expert. "What is very clear from minute one, interview one is that he only considered Jens to be of interest," said Andrew Griffiths, an International Police Interrogations Expert. Griffiths says Soering's confession to Bedford County Investigator Ricky Gardner contains significant errors, making it unconvincing and unreliable. "If he didn't commit the crime, he'd have no first-hand, crime scene information and that would explain why he got so many details wrong," he said. Rosenfield says the Bedford County Sheriff's Office hasn't been helpful in the movement to exonerate and deport Soering back to Germany. "They have been uncooperative, indifferent, and I would go so far as far to say immoral," said Rosenfield. Major Gardner responded saying in part "I remain confident that Mr. Soering and Ms. Haysom are the only two people who benefited from the murders and are the only two people responsible for their deaths." Something forensic expert Moses Schanfield disputes. 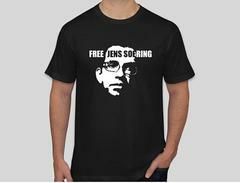 "There is no DNA evidence that matches Jens Soering at the crime scene," said Moses Schanfield, a Forensic Professor at The George Washington University. Schanfield says the crime scene evidence did contain DNA of two other men. No one other than Soering or Elizabeth Haysom, the daughter of the murder victims, was ever charged in connection with the crime.